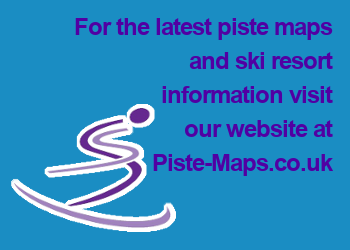 There is a free ski bus service between La Tania and Courchevel 1850. It runs via Le Praz, 1550, 1650 and finally 1850. A pedestrian bus pass is available to include the gondola / cable car lifts for €15 per day (6 days for €50). The service runs from La Tania, bus stop on the main road behind the Montana Hotel (access can be gained via a public lift to the left of the hotel entrance). The first bus leaves La Tania at 09:10 and the last bus leaves Courchevel 1850 at 23:40. The ski bus runs every hour except for a gap during the evening - see below. An alternative way to Courchevel 1850 is to get off the bus at Le Praz (5 minutes on the bus or a 20 minute walk) and take the Praz Gondola straight in to 1850 - the first gondola is at 9am and takes around 15 mins. Earlier buses run from Le Praz to Courchevel 1850 at 07:45, 08:05, 08:25 and 08:45 and take 25 mins. The Journey time from La Tania to Courchevel 1850 is around 30 minutes. There is a limited service at the beginning and end of the season and some extra buses may run at half term - see timetables available from the Tourist Offices. These details other services such as 1650 to 1850 that runs every 10 minutes during the day. La Tania to Meribel - Direct Bus At Last! UPDATE: This service only running through the French Half Term Holidays - check with the Tourist Office for latest information. Direct free bus service from La Tania to Meribel Chaudanne (stopping at Meribel Village). Mon to Fri departing La Tania at 10:00 14:00 17:15 and 19:00 plus an additional service on Tue & Thu in peak season at 21:45. Return times from Meribel Chaudanne at 10:30 14:30 17:45 and 19:30 (plus Tue & Thu peak season 22:15). Journey time 25 minutes.